Our goal is to provide the best air conditioning services and ac repairs in San Antonio at the most reasonable rates. Whether you need one of our services at 2 pm on a Monday or at 3 am on a Sunday, we never charge our customers extra for the service that we provide as it’s the same job no matter what day or time it is. 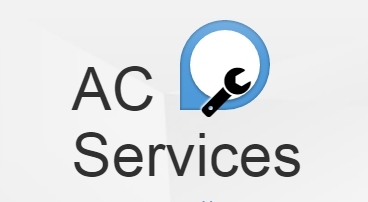 If you are in need of a professional and skillful air conditioning service, AC Trophy is here to provide. Here in San Antonio, the temperatures during the summer can become unbearable, and there’s nothing more uncomfortable than being too hot and having no way of cooling yourself down. Luckily for homeowners, there’s the brilliant invention of an air conditioner, and we just happen to be AC specialists. Here at Trophy AC, we have some of the top technicians that are fully certified, background checked, experienced and skillful. Providing quality air conditioning services come naturally to them – we only employ the best. When our technicians visit a customer’s home to carry out one of our services, we show the utmost courtesy to the client and their home. We’re an affordable and reliable company who are always there when you need us. Air conditioning tune-ups are critical for your system’s welfare – an AC that is not well maintained can prematurely break or require expensive repairs. 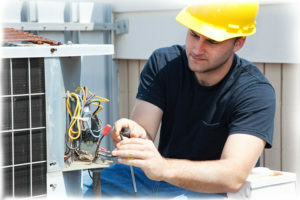 Our AC tune-ups are carried out by our talented and highly trained technicians. They can prolong the life of your AC by ensuring that all of the components are working correctly and efficiently. When you receive an air conditioning tune up from Trophy AC, you can expect a full and thorough service. We check all of the components such as the compressor, the coils, the refrigerant level and more. Save money on your energy bills by scheduling an AC tune up with us today. If there is a problem with your AC, our proficient technicians can diagnose the problem in no time at all. All of our technicians are highly trained so know exactly what to do when a repair is required. When one of our team members comes to your home, they come well equipped with all the necessary tools and equipment. Whatever brand of AC you have, we can perform a quality Air Conditioner Repair. Call us today and get same day service that is reliable and efficient. Many factors can make our customers need a new air conditioner – HVAC System. We can give our professional and honest opinions on which path is best to take. We’d never tell our clients that they need an AC replacement if they didn’t need one – you can put your faith in us. When you have an old air conditioner that has become inefficient, you end up paying more for it while it gives you less. When we install a new air conditioner – HVAC System in your home, you can benefit from lower energy bills and a consistent temperature. Whether you need an Air Conditioning System for a new build, or your old unit needs replacing, Trophy AC can help you to choose an air conditioner that suits your home and its needs. If you allow us to install a new AC into your home, we can assure you that it will be fitted safely, correctly and efficiently. We also work to a budget that you set so you don’t have to worry about a massive bill at the end that you may not be able to afford. An HVAC system does double the job, so it’s doubly important that maintenance is carried out on it. An HVAC needs to get you through the hot summers and the cold winters so schedule an appointment with us today to ensure that your unit is ready to tackle various temperatures. We receive fantastic feedback from customers, and we also have many loyal clients who suggest us to friends and family due to our expertise and professionalism. If you would like to schedule an appointment you can call us today. We are available to help you seven days a week, 24/7 with immediate and helpful responses. You will not be disappointed with our level of service; we hope to hear from you soon!